When people of different cultures work together unexpected difficulties can and usually do arise. Standards, norms and values that have always been taken for granted suddenly do not apply anymore. This is particularly true for doing business with Japanese people as there is no feedback and one falsely assumes that everything is working perfectly. In order to manage this challenge it is necessary to understand the values and practices of Japanese culture in comparison to your own. The seminar is not limited to merely informing about typical intercultural “dos and don’ts”. After raising cultural awareness major differences in the way people from different cultures think, feel, listen, clarify, agree, disagree, come to decisions and transact business are pointed out. 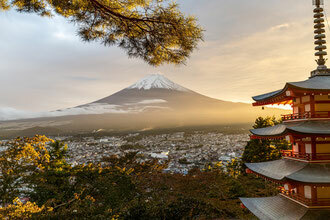 The training provides participants with structures that help understand Japanese behaviour and creative ways to overcome problematic situations. Specific Information on Japan – History, Geography, Religion, Nihonjinron, Effects of Language, Nonverbal Signs, Taboos etc. Team of two trainers: Thomas Gramlich (Japanologist, M.A.) and Beatrix Stahlberger (Psychologist / Coach). Both trainers are present throughout the seminar.